Your new landscape is a living breathing environment. Watering is vital to its survival. Correct watering is the single most important factor in establishing your new plantings. During the first year after planting, check all plants weekly by inserting your finger into the soil to a depth of two to three inches. Water when the soil is no longer moist. Slow, deep watering is preferred. 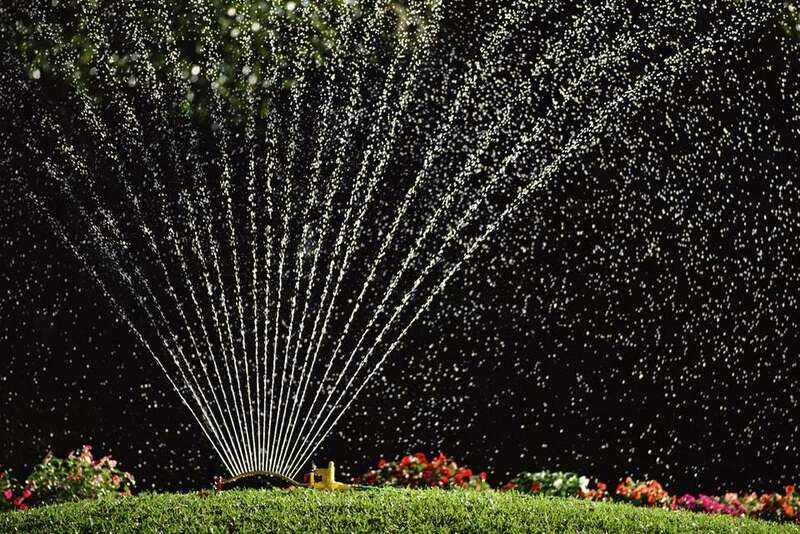 A slow trickle of water from a garden hose for 20 - 40 minutes should be adequate for trees and larger shrubs. Water smaller shrubs at a slow trickle for 10 - 20 minutes. For perennials, annuals, and groundcover, running a soaker hose for 20 minutes or hand watering the area should be adequate. The smaller the root system a plant has the more necessary it is to keep up with the watering needs. Excessive, frequent watering is as bad for plants as no water, so check your soil before watering. The best time to water is early morning before the temperatures begin to rise. Watering in the morning allows water to soak deeply into the soil providing the plants with a good amount of water to face the heat of the day. If watering cannot be done in the early morning, late afternoon is also an option. It is important to water early enough in the afternoon so the leaves have time to dry before nightfall. Allowing the leaves to dry before nightfall reduces development of fungal diseases. The frequency of watering plant material can vary due to several factors. These factors include, how recently the plants have been installed, season of the year, plant type, soil conditions, sun, temperature, and drying winds. *Grass seed and sod should not be allowed to completely dry out from the day it is installed until well rooted.